A well-known tea brand in Canada and the U.S., with their American headquarters located in Little Falls, NY., Salada employs more than 80 dedicated people who create the various, diverse teas and blends to give their customers new ways to experience tea. 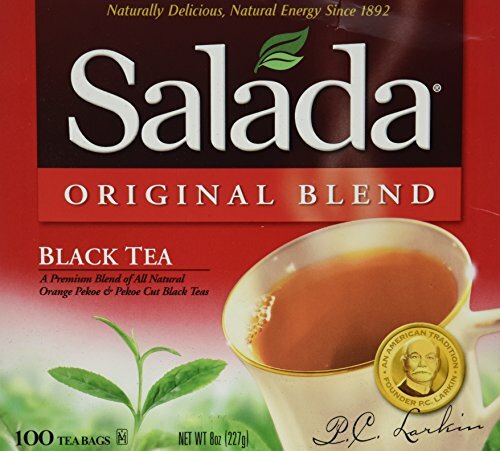 Founded in 1892 by Peter C. Larkin, a businessman from Montreal, Salada was a company that initially sold loose tea directly from their tea chests. Peter began to sell the tea packaged in foil to preserve the freshness and taste, which also helped with establishing a uniform flavor. Soon becoming one of the leading teas in Canada and the north-eastern regions of the U.S., they opened their first U.S. headquarters in 1917 at Boston’s Back Bay in Massachusetts. The building was designed by architects Densmore and LeClear, which also housed Salada’s blending and packaging plant. The large, bronze doors at the front were designed by Henry Wilson, depicting inscribed images of the Ceylon tea trade along with Peter’s commitment to quality in the field. Even though the building changed hands over the years, the doors are still there, weighing more than 2 tons and standing over 12 feet tall. Salada established several plants across North America by the 1950’s, continuing to offer tea sourced and blended from as many as 30 different tea gardens to ensure consistent quality and flavor. 1957 – acquired by Shirriff-Horsey. 1969 – acquired by Kellogg. 1988 – acquired by Redco Foods, Inc.
1995 – Redco was acquired by German company Teekanne. Now a division of Redco Foods in the U.S., Salada is a Unilever brand in Canada. Peter Larkin recognized in the beginning that the way of the future for tea was to offer the blends as a prepackaged product, which set the trend for the entire tea industry. Tea bags were introduced in the 1930’s, making tea brewing easier for consumers. In the beginning, tea bags were made from a gauze-like fabric and were sewn closed. A paper tag was attached to the string, which Salada had printed with words of wisdom and wit to entertain their customers while they sipped their tea. In 1930, Salada bought the patent for the heat-sealed, paper fiber tea bag, continuing their tradition of innovation and their dedication to providing user-friendly tea while maintaining consistent levels of quality and flavor. 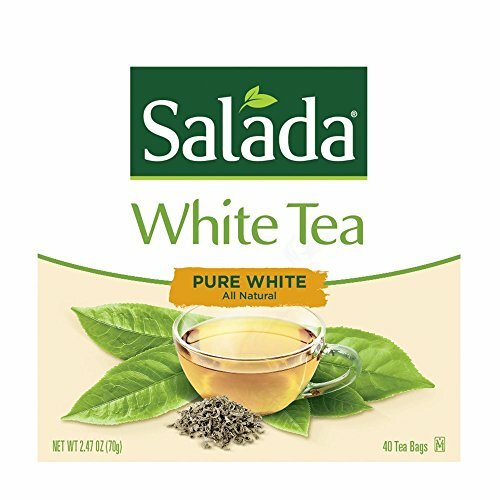 For over 100 years, Salada has been offering black and green teas, with white tea now available. They are proud of their bush-to-cup traceability, which means that the best grades of tea are sourced in an ethical manner from the finest estates in Zhejiang Province, Southern China. Some leaves are also selected from estates in Argentina. Harvested from the misty mountains of China, this tea is 100% pure white, with a subtly mellow flavor that is more delicate than black tea. Smooth and tasty with a natural sweetness, there is no bitterness present and some reviewers say that nothing needs to be added to enjoy this refreshing tea. This tea is offered as a single serve cup and contains green tea, yerba mate and Siberian ginseng, blended with hibiscus, lemongrass and natural raspberry flavor to create an energizing experience. With zero calories, this zesty tea is fresh and fruity while maintaining the original green tea flavor. Salada Original Blend Black Tea Bags - 100 CT.
SaladaÂ Original Blend Black Tea. Naturally healthy tea since 1892. A premium blend of all natural orange pekoe & pekoe cut black teas. One reviewer advises that this tea tastes the same as it did in the 1950’s, with a naturally fresh aroma and flavor, made from premium orange pekoe black tea. Delicious hot or iced, this original blend is smooth and complex while staying true to the founder’s standard, which was established in 1892. 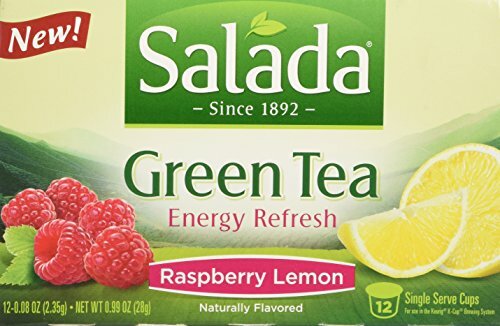 Salada has stood the test of time, continuing to provide affordable and flavorful teas, with new lines such as herbal, matcha, decaf and fruit teas. Along with assortments to sample and a wide range of green teas, this company strives to be more than just a supermarket tea.